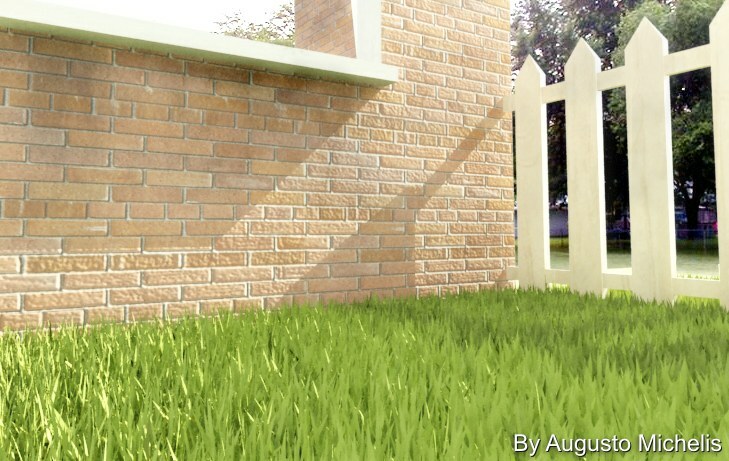 In this tutorial I’m going to show you one way to create polygonal grass. 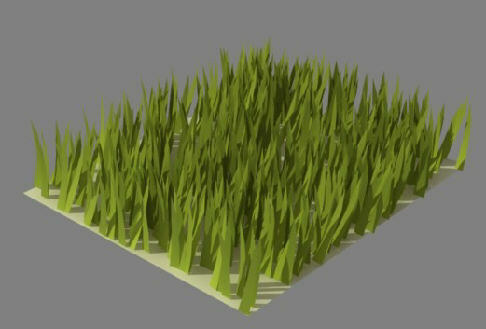 We must keep in mind, to create convincing grass we need to manage a huge amount of grass blades (polygons). First we need to create the ground where the grass will be located. 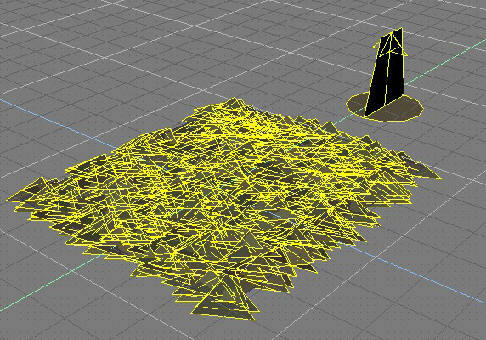 I recommend a Plane, but it could also be a complex mesh with hills for example. 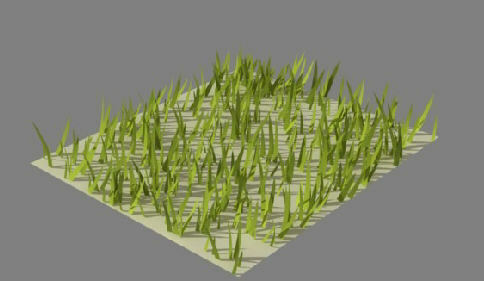 Now, we must load a blade of grass, here is my example (blade.cob) or you can make your own. But make sure the Axes is at the lowest part of the blade. 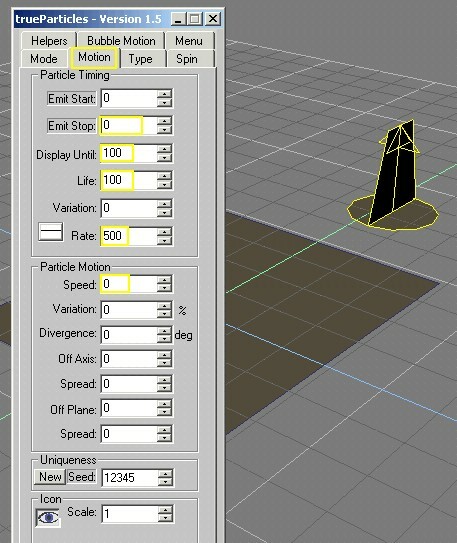 Now, click on the trueParticle plugin. You should see a generic emitter. Clicking on this emitter with the right click button, we are going to see the settings for this emitter. 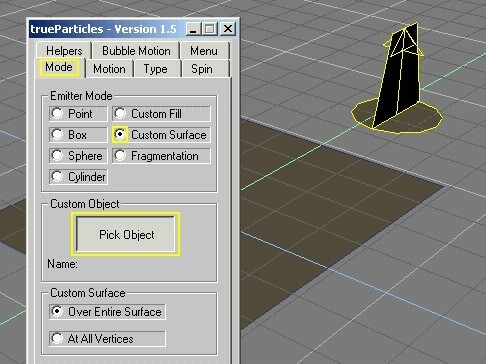 Now we see more options, click on “Pick Object” and now select the ground object. OK, now we jump to the “Motion” tab. 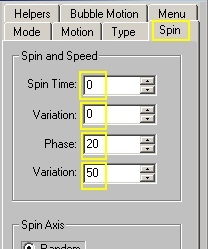 OK, now we are on the “Motion” tab, and we must enter these settings. “Rate” is the amount of objects. 500 is enough for testing, but keep in mind for my pictures I used 20,000. But where is our grass? That’s a little problem. As you can see, on the “Emit Start” its set to 0. But 0 is in fact the same frame as we are in by default, and we can’t add a value lower than 0 (for example -1) - that’s why we can’t see the particles yet. Voilá! But, what is this? That’s not grass!! Take it Easy Dude!! Step by Step! 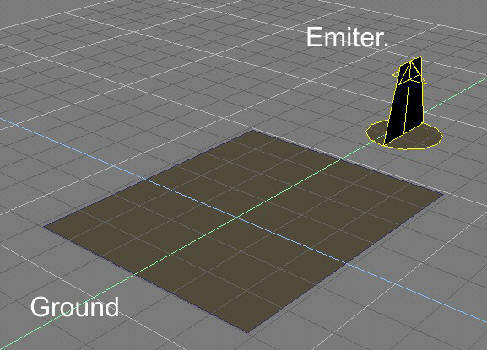 Now if you render, you can see the emitter as a visible object. We’re going to hide it by clicking on the Eye icon. Now let’s work a bit on the blade of grass. Before we change to the right particle, we must choose the correct Shader for our blade, in this case I use this setting. Again work with the emitter settings, let's jump to the “Type” tab. Over the "Type" tab / inside “Particle Type” we must click on “Picked Object” then on Custom Object click “Pick Custom Object” and choose the blade of grass. 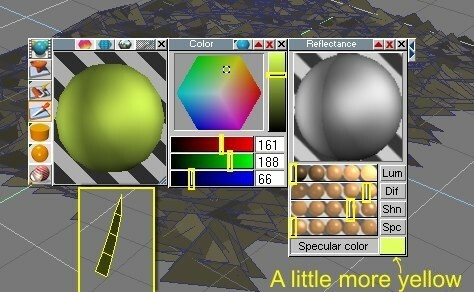 But wait!, we must work a bit more to get a more realistic look. 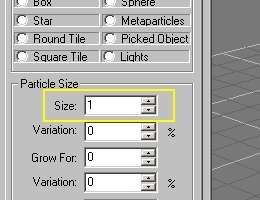 If you have a larger particle you can reduce or enlarge it’s size with the "Size" setting. Now that looks more realistic, but we still have a lot of white space showing. To fix that you must jump again to the “Motion” Tab and increase the Rate from 500 to 2000 for example. Much better!! But I’m still seeing white areas showing through. 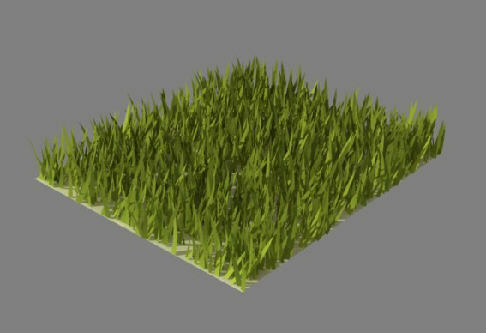 To fix this, we’re going to add a grass texture or green color ( if you don’t have a grass texture ) to the ground object, and that’s going to give the illusion that there is more grass. Now if you still need more grass, you can increase the rate from 2000 to whatever you need. That’s all there is to it. 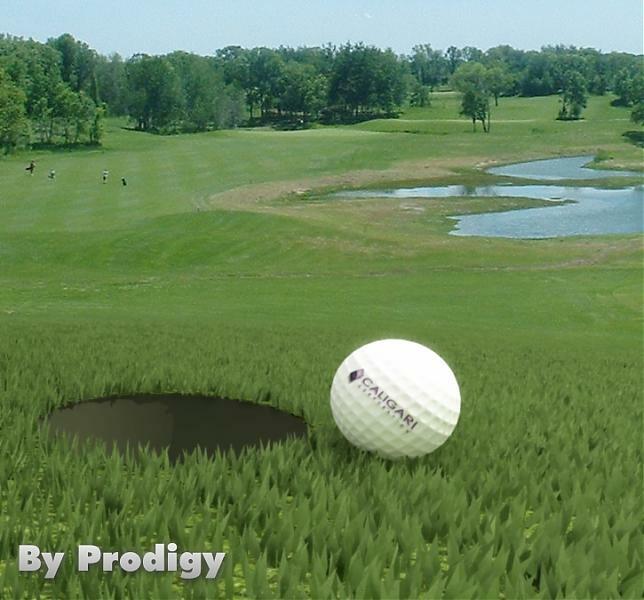 Now you can play golf in Truespace. 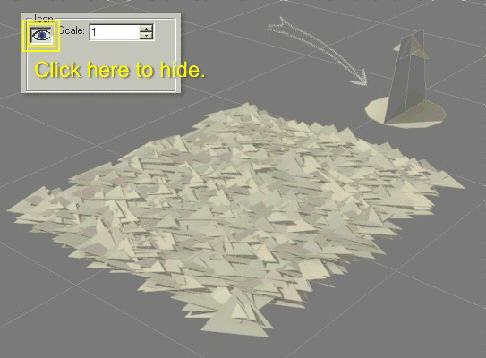 This is one of my best "secrets" in Truespace. Enjoy it!